A healthy smoothie inspired by a cocktail? Although that might sound strange, I think it’s a great way to enjoy the flavors you like more often. This protein smoothie recipe was inspired by a cocktail I had on vacation in Belize. With that inspiration, enjoying this drink might help you feel like you’re on mini vacation! The inspiration cocktail was a local special, created by the bartender on the private island. I love discovering local recipes like this when I travel and I was very lucky that the creator freely shared his recipe. He named the cocktail Anatolian Shepherd, which is the breed of one of the island dogs. While we love most dogs, the Anatolian Shepherds is special as it’s a relative to the Great Pyrenees. 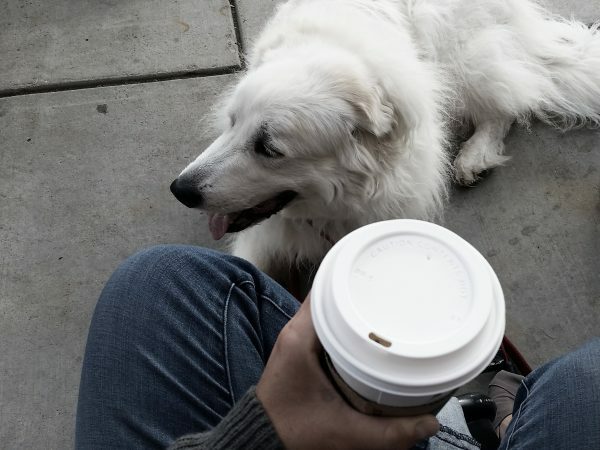 Zurie, our big white fluffy dog that you see occasionally on Instagram, is a Great Pyrenees – which made the connection even better! 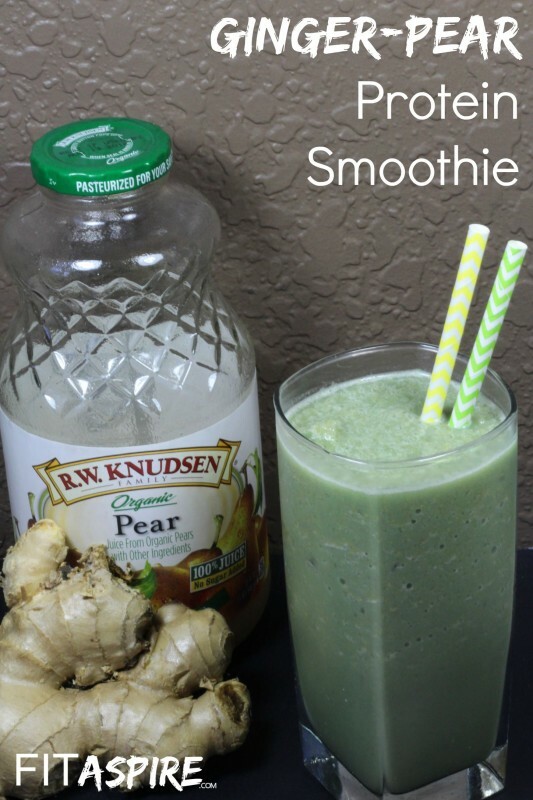 In my smoothie version, I skipped the rum and added pear juice to balance the kick of ginger at the end. The final result is almost as fun and a better complement to your workout than the cocktail version. Although I won’t tell if you decide to spike yours! 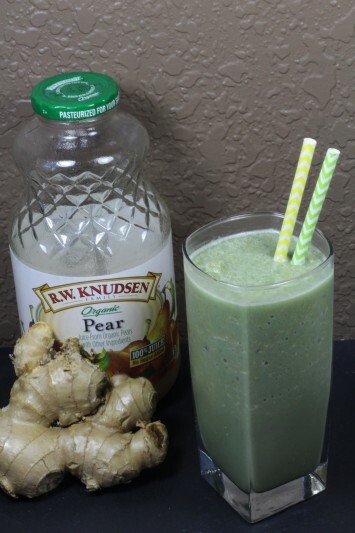 Not only does this smoothie taste delicious, but ginger is also a great choice for refueling after your workout, as it may reduce exercise induced muscle pain and inflammation. And with just 5 ingredients, it’s quick to make — just throw everything in the blender and mix. Because you’re already tired after your workout! Looking for more smoothie recipe inspiration? Try one of these popular recipes: Cherry Almond Milkshake Smoothie or Apple Crisp Smoothie. Editors Note: This post was originally published in July 2015 as part of the #MoveHappy challenge to a limited group. This post has been revamped and updated for all FITaspire readers.